How would you like to save hundreds every year on your utility bills? How to determine if you have enough insulation and where to add insulation for the most savings. 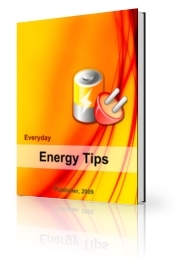 The trick to getting the most savings is to use a whole house approach, from the roof, walls, and insulation that enclose it to the appliances and lights inside, using the simple and practical tips you will find in Everyday Energy Tips.